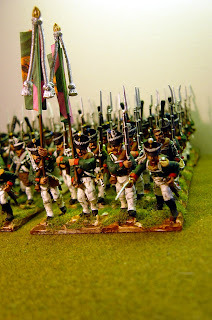 Back on 21st October 2011 I showed you some pictures of the first battalion of my new 25mm Napoleonic Russian army -regiment Arkangel. 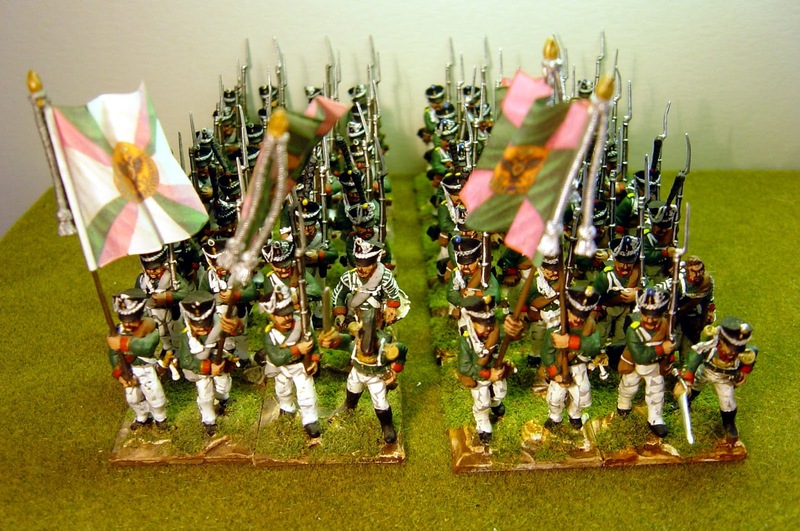 These chaps have had a name change to IR Revel and a 2nd battalion added. I managed to get them based this week so I thought I photograph them with their rather smart green and pink flags. 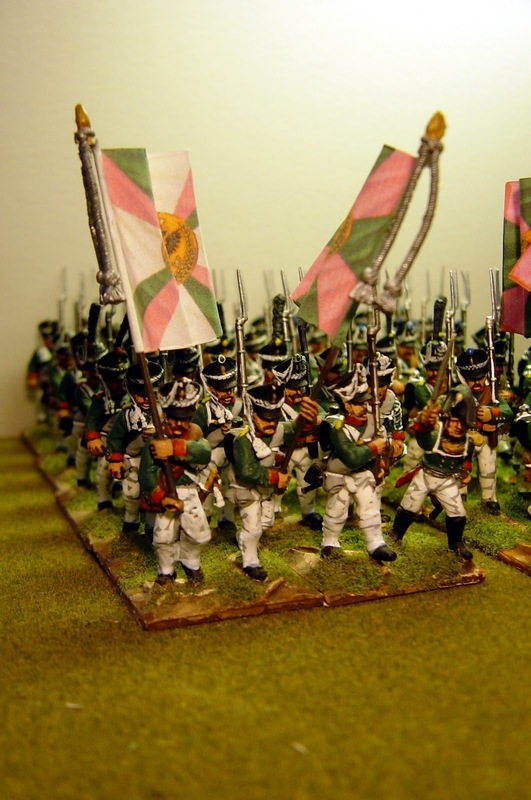 They have yellow shoulder straps and will be the third regiment of my fictional division. The figures are mostly plastics from Warlord Games - the rankers are plastics and the command element are metals. 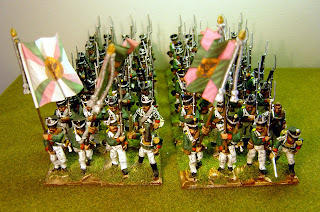 I like the plastics which are nice figures, easy to assemble and with great variation. The metals though are horrible. I've ordered some more Russian plastic infantry from the Perrys so we will see which are better.